Surya joined the firm in 1994 as Secretary and Trade Marks Assistant. She was promoted to Trade Marks Manager in 2008 and now holds the position of Trade Marks and Patents Manager. Surya has over 34 years of work experience, with more than 20 of these in the area of trade marks and patents. She is Fiji’s most experienced trade mark and patent executive. 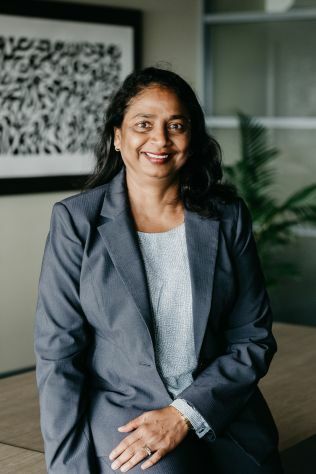 As Trade Marks and Patents Manager Surya oversees and manages all of Munro Leys’s trade mark and patent work in Fiji and the 6 neighbouring Pacific Island countries (Samoa, Solomon Islands, Kiribati, Tonga, Tuvalu and Vanuatu) in which we do intellectual property work.